Colette, one of the Woodlore office team members, recently went to visit Woodlore’s first Camp Craft course of the season. The course was in full swing and the sun was shining, so she she managed to snap some pictures of our students working away on various axe and woodwork techniques. 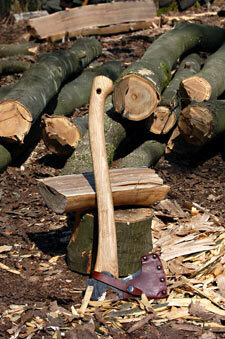 This entry was posted in Bushcraft Courses & Expeditions on May 24, 2010 by Woodlore Team.